One thing I’d not seen before from L’occitane was the Lavande Hand Sanitising Gel. I didn’t even consider that L’occitane would do such a product?! I’m not the biggest fan of lavender scents usually but I have found myself liking them more and more in recent times. This is a very potent smell of pure lavender. So if you do dislike the smell you’re probably best avoiding this one! If you’ve tried the Body Shop Hand Sanitisers then I’d say it’s around about the same strength of smell as those. 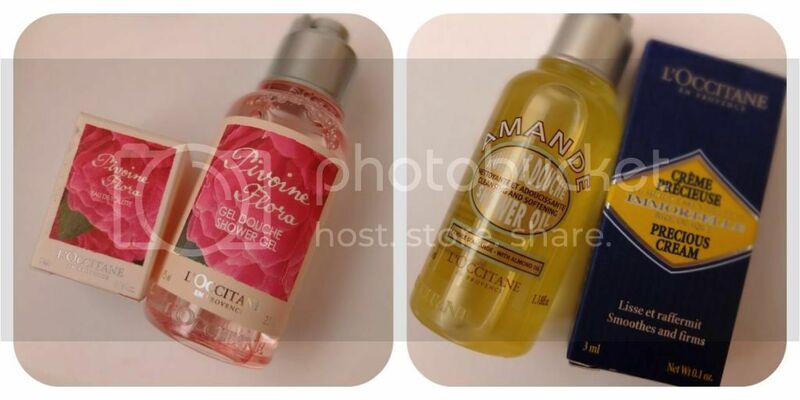 The great thing about the L’occitane hand gel is that it leaves my hands feeling so soft after each use. The Body Shop one can be fairly drying, but this one is an instant softening effect and the smell stays for a while. I also got some Verbena Refreshing Hand and Body wipes which I’m looking forward to trying. Although I’m tempted to keep these until summer as that’s when you get the mucky paws, not like winter when you’re wearing your gloves non stop. 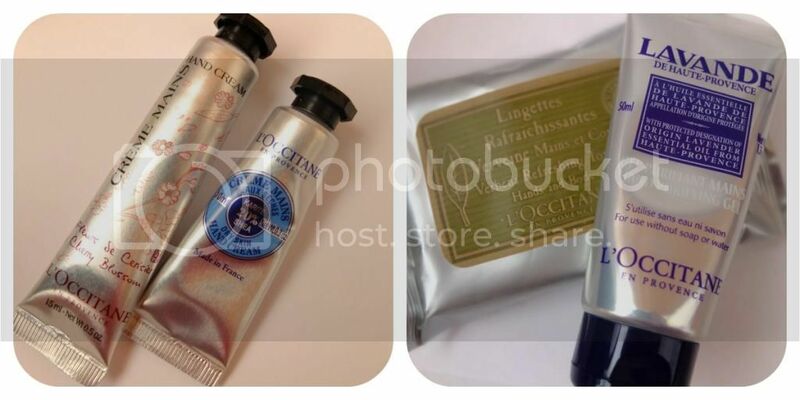 Speaking of hand products I also got two of the L’occitane hand creams. I’ve tried the hand creams before and I must say I am not the biggest fan. I don’t find them moisturising at all and I find the formula lacks somewhat, but bear in mind I do suffer with contact dermatitis so have to be careful what I use anyway. I’m itching to open the Cherry Blossom one as I’ve not tried it before but alas I’m saving these two for parts of Christmas gifts (gotta put all those empty glossy boxes to good use somehow by filling them with cast off’s eh?!). The Pivoine Flora perfume is my favourite fragrance that L’occitane do and I must have bought this tiny little bottle 10 times over by now! It’s always online for £10 but I’ve bought it a few times reduced to £3 in the outlet store. I keep one in my car and one in my bag already as they’re so handy and smell so good! Like a sweet rose scent. Saying that then it’s no surprise I’m excited about the shower gel which matches. I’m very pleased to have found in my little bag a sample size bottle of the L’occitane Amande Shower Oil as I’ve been keeping an identical little bottle preciously hidden away because I’m reluctant to use it as I’ve seen such amazing reviews. I don’t want to fall in love with it and splash out on a full size bottle…. do I? Haha. Anyway the savouring of the precious one is over, as now I have two I can try it finally. One thing I wasn’t pleased to see in my bag was the Precious Cream. I’ve tried this before and it’s like the devil reincarnated as face cream taking a massive disliking to my face, it left me greasy and even more spotty. So needless to say this is being given to some lucky urchin for Christmas too. I’m so kind. Finally we have some lip products. The Ultra Rich Lip Balm was in the bag and the two Sun Verbena Lip Glosses were at the till reduced to £1.20 each. I thought the Lip Glosses would be great to protect my lips during the cold winter months, even though they are summer products. They form a really light gloss layer on the lip and keep the moisture in, rather than restoring the moisture like the balm does. 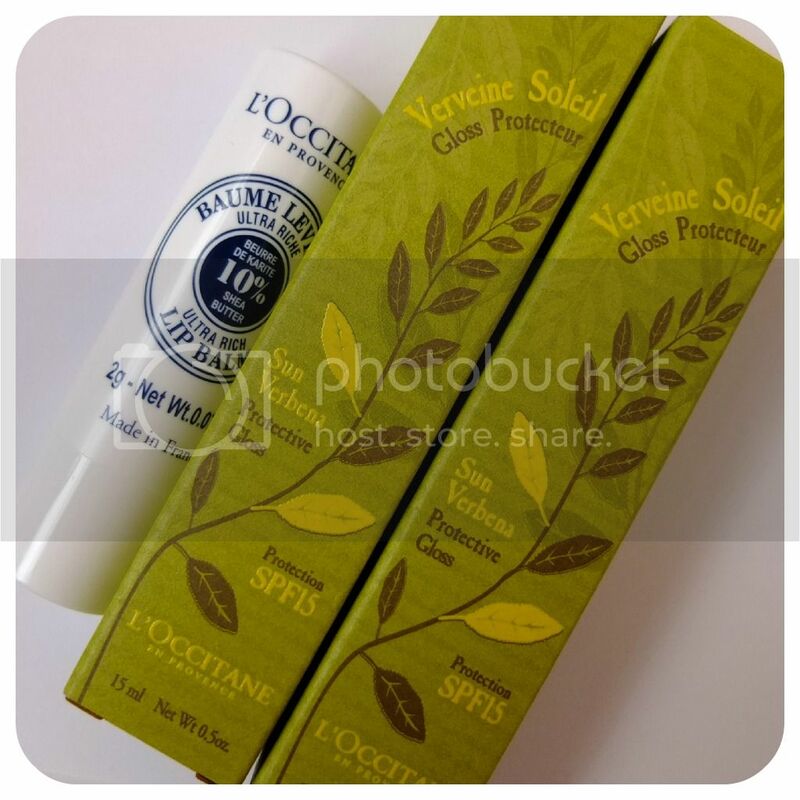 I must say, I’ve never entertained the idea of trying the classic L’occitane lip balm before, but it’s really very nice. It’s a little harder than balms I’m used to but instantly hydrates lips leaving them really soft and nourished all day. 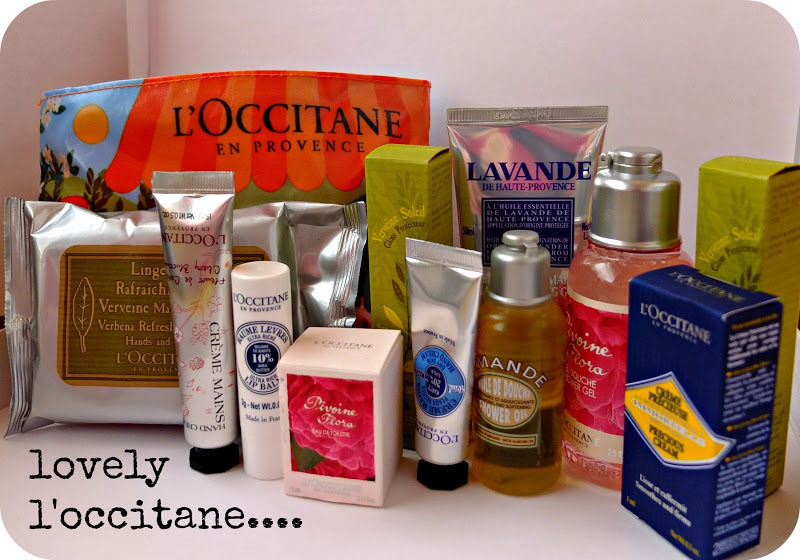 What are your favourite L’occitane products? I’m glad to have gained a few more bits to try, discovered some new favourites and also got some little things to throw into Christmas gift boxes, and all for under £20 altogether! Also, how do YOU pronounce L’occitane? I know the right way now (after years of saying it wrong!). Next Post Pogo Pogo Pogo!